Here's a cute little hand made desk calendar for you to make and gift to somebody as a Christmas or New Year's gift. Great for teacher's gifts or for colleagues and perfect little stocking fillers for friends and family. You could resize them but these were perfect for this project as they were, there are even useful little cutting line indicators on the images so you can't go wrong. 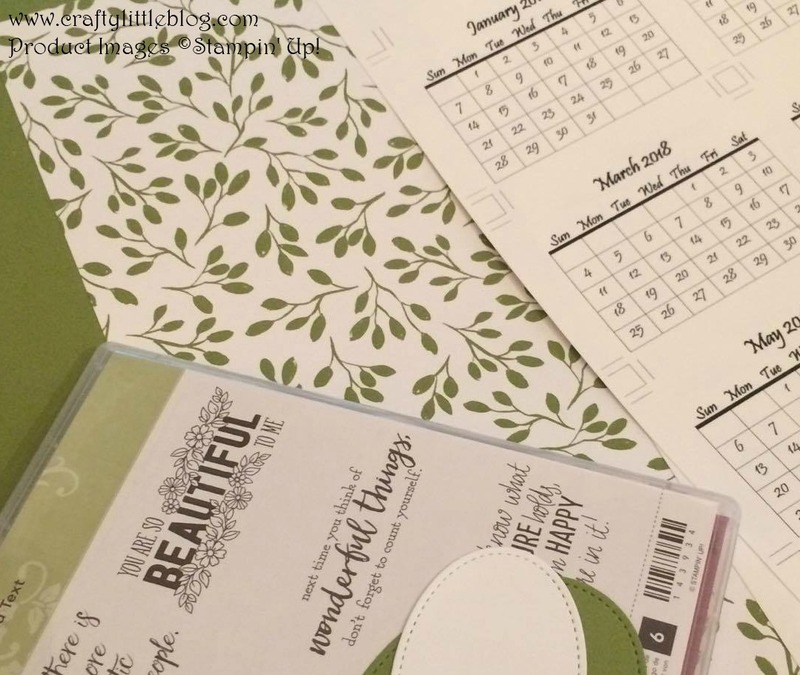 I printed directly onto regular Whisper White cardstock and used the Stampin' Up! trimmer to get them to size. Of course you can make your own or buy them ready printed quite easily on line. I was going to stick the little calendar pieces together at the top with Snail double sided tape but I decided to use the little gold library clips which look so cute and have a really good grip. I figured this way when a month is gone it can be discarded or slotted into a secret pocket on the back. 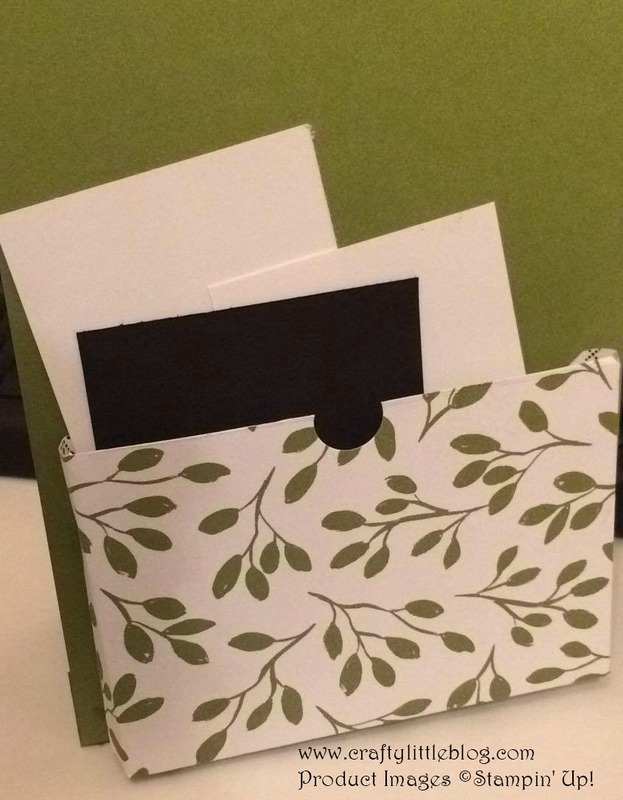 The back pocket can also be used to store business cards, discount vouchers or notes, anything that you fancy storing but don't necessarily want on display. 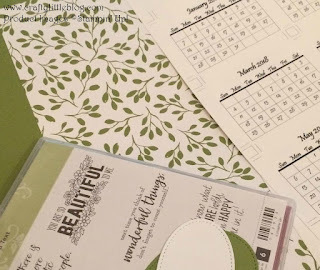 The calendar is glued onto the stand using Tombow all over the back of December. You could do it with dimensionals or you could tie the back of the clip onto the base using twine or ribbon with a hole punched through the front layer only. The choice is yours! Let your creativity go wild. 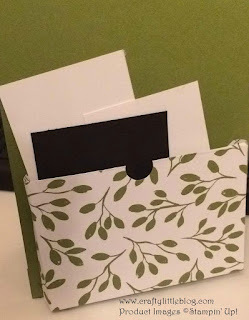 For the sentiment I used the Just Add Words stamp set stamping with Basic Black onto Whisper White. I die cut using the second to largest oval in the Stitched Shapes Framelits set and used the largest one to make the Old Olive cardstock oval layer. I used dimensionals to attach these to give some depth to the project. The frame is made using an 11.5 x 4.5 inch piece of Old Olive Cardstock which is scored in the centre on the long side. I used a piece of DSP from the stack Merry Little Christmas cut just a quarter inch shorter all around to give the project some pattern and depth. This was glued on with Tombow. I then took a piece of 4.5 x 3.5 Old Olive and scored it on the short side at 3/4 of an inch, 1 3/4 inches and 2 3/4 inches. When burnishing the score lines be sure to bend the two end pieces up and to bend the centre piece down making a central 'mountain' with two 'valleys' either side. Glue the wrong side of the two edge pieces and stick to the insides at the bottom of your easel frame. 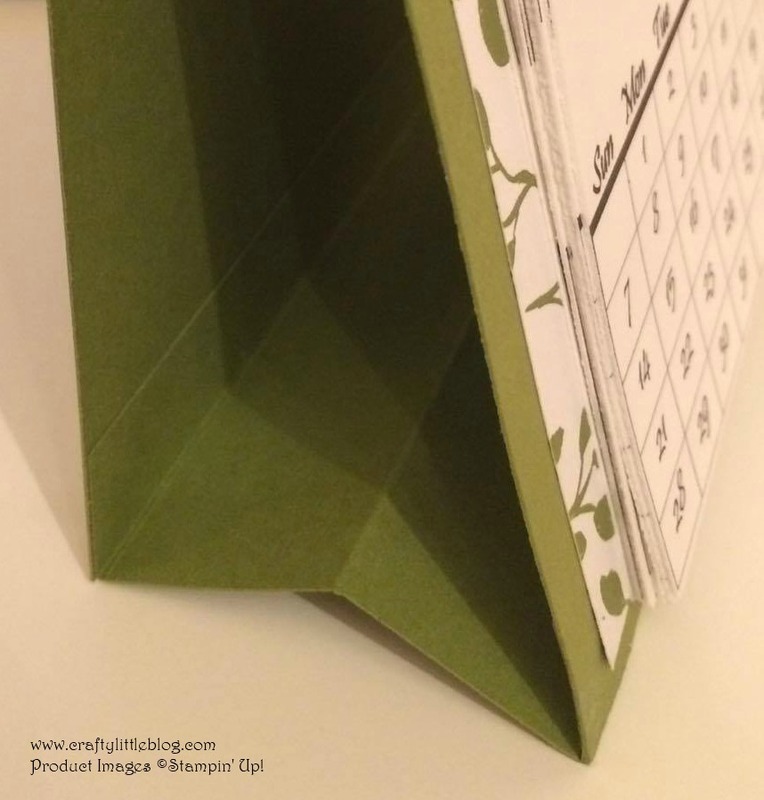 This gives it stability when in use and enables it to be squashed flat for gifting. The back pocket was made simply using a piece of DSP to match the front, it measures 4 x 3 inches with three quarter inch flaps to stick the sides and bottom to the back of the easel and I punched a little circle into the top using a half inch circle punch. On mine in the picture I have a few scraps of paper stashed in the back out of sight but easy to grab to use when needed. That's it! 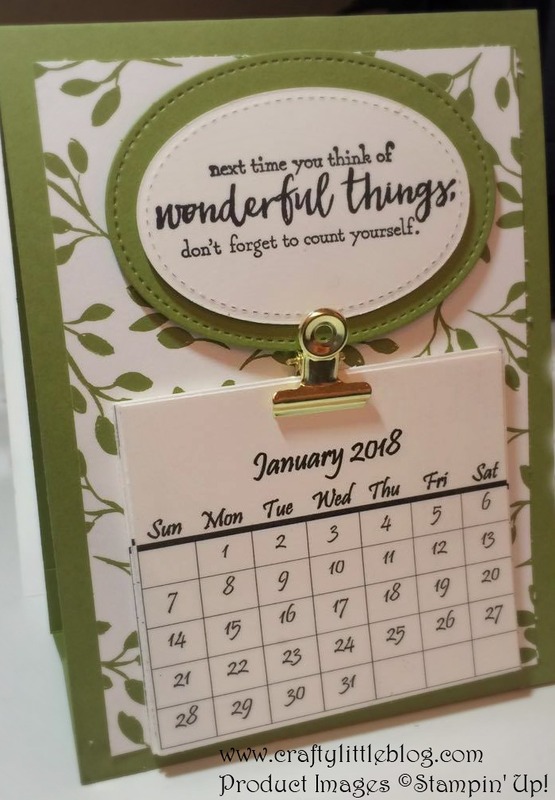 A simple 2018 calendar project which will look gorgeous on any desk. All products are linked below as usual and all are current so will be easy to get your hands on. I will be making a video tutorial of this so watch out for that.